I have always been a big fan of hot tea. My junior and senior years of college, my best friend Rose and I would brew up an entire pot of tea every time we hung out. Anytime we had friends over, we immediately put water on to boil, and we offered our guests a selection of tea. When I moved to France after graduation, it was my first time experiencing a real winter. Already an avid tea drinker, I found myself drinking 4-6 cups of tea every single day. My favorite was thé au caramel, a delicious black tea that my boss kept in the house. She and the kids quickly learned how much I liked it, and they always remembered to buy me more at the grocery store. After spending the better part of two years obsessed with thé au caramel, it was with a heavy heart that I returned to the States, where no such tea existed. Then I interviewed with the French family in New York, and my future boss offered me a cup of tea. To my utmost delight, her tea selection included thé au caramel! It was her favorite tea too, and she always stocked up when visiting France. First in New York, and then in Toronto, I enjoyed several mugs a day of my favorite French tea. But all too soon, my second au pair job ended. I moved to the Midwest to be closer to Beau. Together we discovered Fast Lane, a black tea sold exclusively online and at their factory by Celestial Seasonings. It became my new favorite tea, and soon, thé au caramel was just a distant memory. Beau surprised me with an entire case of Fast Lane and Sleepytime! Red Rose sells a line of tea called Simply Indulgent. I had the privilege of sampling their Créme Caramel tea, and it was simply heavenly. A single sip took me back to France. Next time I'm at the grocery store, I plan on stopping by the tea aisle to buy a box of Red Rose Simply Indulgent Tea in Créme Caramel. While I still plan on drinking Fast Lane with breakfast each morning, my afternoon treat will now be a relaxing mug of caramel tea. 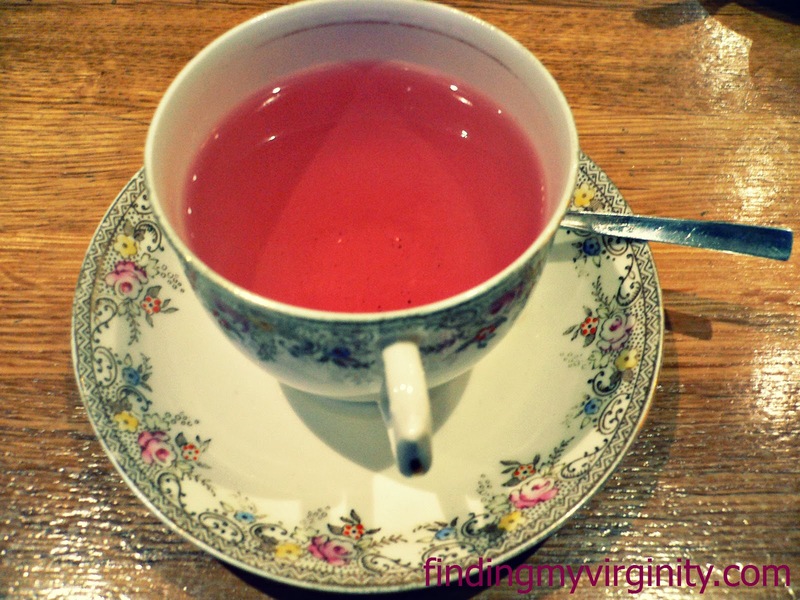 *Post contains some Amazon Affiliate links if you like tea as much as I do. 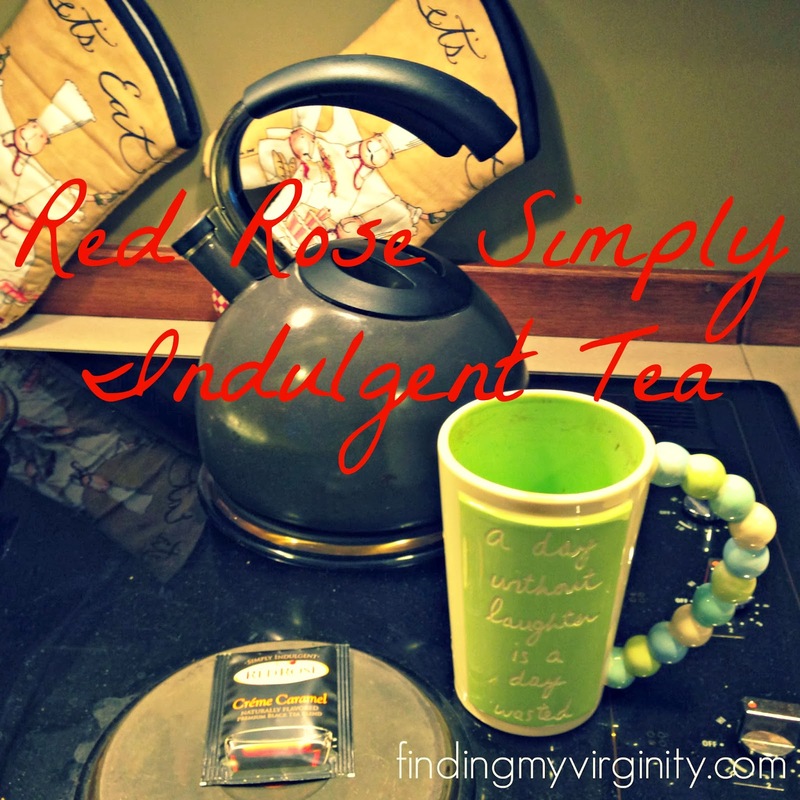 Influenster sent me the Red Rose tea in exchange for my honest review. Tea was a huge part of my experiences abroad, too! Polish stores have a huge variety of teas and I bought something new nearly every time I went to the grocery store. My favorite was hibiscus tea, which I bought in loose dried flowers. I loved it because I could mix the desired amount in with other loose leaf teas I already had-- perfect for iced tea! So far in the US, I can only find hibiscus tea blends! I didn't really ramp up my tea consumption, though, until (predictably) I moved to the UK. Thank you, long evenings writing papers in my drafty apartment! It was a good thing I'd brought the stash I bought in Poland with me. I just wish I'd stocked up again before I moved back home. I have some loose leaf tea from Nice, but I haven't even tried it yet. I used to have this cool tea container for steeping loose leaf tea, but I can't find it anymore. :( I need a new one before I can actually enjoy my French loose leaf! It just hasn't been a priority. Tea is the best! Beau and I like Sleepytime tea before bed. He doesn't always join me for a morning cup, though. I like black tea the way the British drink it, or as chai. I also like chamomile tea - it's so aromatic and soothing. Is caramel tea black tea with caramel..? Or what is it exactly? I've never seen it around. Is it sweet? Caramel tea is black tea either with little chunks of caramel in it or caramel flavoring added to it. I prefer mine with a small spoonful of sugar, but if you like very subtle sweetness, it's good without sugar too. I'm not a big tea drinker, although every once in a while do crave a cup of sleepytime tea. But coincidentally enough, while I didn't pick up tea drinking in France, it is where I picked up coffee drinking. Before a month there in college, I'd only have specialty drinks from Starbucks. But after... it became something I drank pretty regularly.